EDITOR’S NOTE: This article has been updated to include the details from the status conference held at 9 a.m. on Monday, Sept. 24. 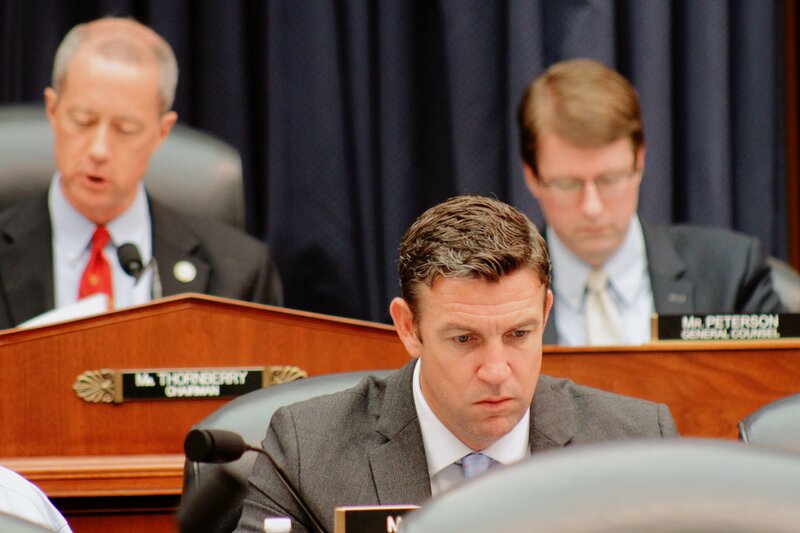 REGION — A federal judge today gave attorneys for San Diego-area Rep. Duncan Hunter and his wife, Margaret, who were indicted on charges they spent more than $250,000 in campaign funds on personal expenses, two months to go through discovery in the case before any future hearing dates are set. Thomas McNamara, the attorney for Margaret Hunter, asked the judge to give the defense “several months” before scheduling another status conference, but Assistant U.S. Attorney Emily Allen said that was too long for what she characterized as a straightforward embezzlement case. “This is a very simple case, when it comes down to it,” Allen told the judge, noting the government’s speedy trial rights. “It’s not a simple case for us,” McNamara said. With more than 200 overt acts alleged in a 60-count indictment, the defense request was not “unreasonable,” Whelan said. After the hearing, protesters chanting “shame, shame, shame!” and “bye-bye Duncan” followed the congressman as he left the courthouse. Hunter, R-Alpine, and his wife, sat a row apart and did not appear to say anything to each other during the hearing. Both are free on bail and have been ordered to appear at all hearings. The congressman is running for reelection in November. He is facing Democrat Ammar Campa-Najjar in a district that has been a longtime Republican stronghold. Hunter’s father previously held the seat representing much of the East County, as well as Fallbrook, San Marcos, Valley Center and Escondido.